How could Jessops have avoided administration? 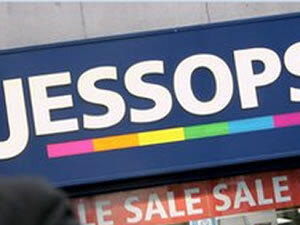 UK high street camera retailer Jessops became the first high profile UK business to go into administration during 2013. Fundamentally, what happened was its customers' habits changed, leaving the retailer stranded: the lower end of its market abandoned the stand-alone camera as the cameras bundled into their mobile phones became more than adequate for their needs in terms of quality, and much more convenient, whilst the higher end of their market found they could get larger product ranges at cheaper prices from a large number of niche online retailers. It could have followed the lower end of its market into the mobile phone market. This would have taken it directly into the existing and cut throat mobile phone retailing market and it is questionable whether its retail foot print would have been big enough to succeed in this strategy. It could have followed its high end customers into the specialist arena. To succeed here it would have had to identify an edge it had over the many niche providers. Probably it would have had to rely more on online distribution and to close all but a few flagship physical retail outlets. It could have moved beyond product (i.e. cameras) to purpose (e.g. images), perhaps by providing facilities for in-store novelty gift creation directly off customer's mobile phones. I am thinking of small runs or even single items of key-rings, mugs, phone covers, etc. with customers photographs and mess ages printed on them. Perhaps Jessops had considered these options and had been unable to get any of them to work. I don't know. What I do know is that sticking to its existing strategy while its customers' behaviours changed had clearly not worked, and now it is for the administrators rather than management to find a solution. What else do you think they could have considered? Please leave your comments below.